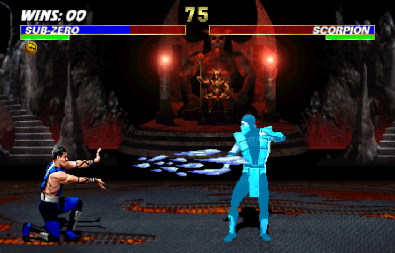 By the time Mortal Kombat: Defenders of the Realm started to air, that had already been 4 Mortal Kombat games released in arcades. The latest one of these was Ultimate Mortal Kombat 3, which was released in 1995. 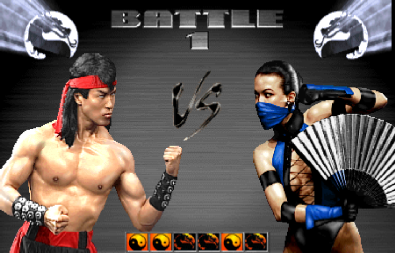 Ultimate Mortal Kombat 3 was an update of the previous game, and tried to fix some of the complaints players had, namely in the cast. 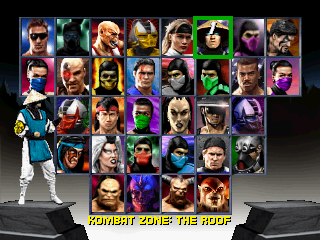 Characters like Scorpion, Kitana and Reptile were added, and there were more secrets along with some new backgrounds. 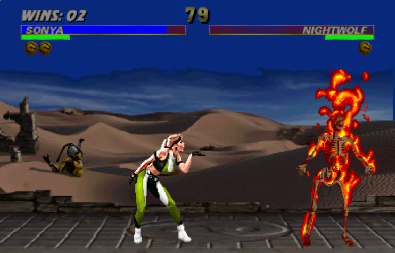 The cartoon series had character designs based off this game, although some changes were made -for example, Kitana has a much less revealing outfit in the cartoon when compared to the game. And if you've never played a Mortal Kombat game, they are excessively violent -blood goes everywhere from simple combos, and it is possible to kill your opponent at the end of a round with a fatality move, which usually always results in a gruesome death. Needless to say, you don't see things like Sonya's flame kiss reduce anyone to a skeleton in the cartoon. 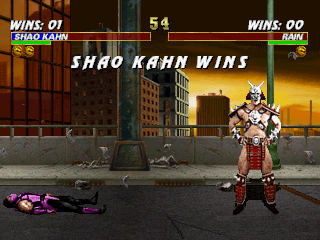 The latest game in the series at the time however was Mortal Kombat Trilogy -the Playstation version was released on the 1st of September 1996, whilst the first episode of the cartoon aired on the 21st of the same month. 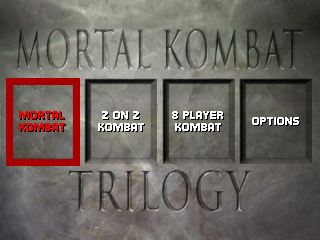 Mortal Kombat Trilogy had the same storyline as Ultimate MK3, but added even more characters, bringing back the likes of Raiden and Johnny Cage. The boss characters were also all made playable, and stages from the first and second games in the series were also put back in. 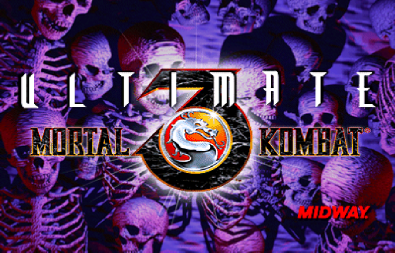 Mortal Kombat Trilogy was released on the Playstation, Nintendo 64, SEGA Saturn, PC and Game.com.